In 1986, United Way of Cleveland in Ohio decided to put together a world record by blowing up and releasing the most balloons ever: over one-and-a-half million balloons were released. Of course, the event was put together for fun and was meant to be completely harmless, it was a fundraising publicity stunt. However, the balloons did not float up into the air as intended. Weather caused them to drift back over the city, and this is when the terror that was Balloonfest started. 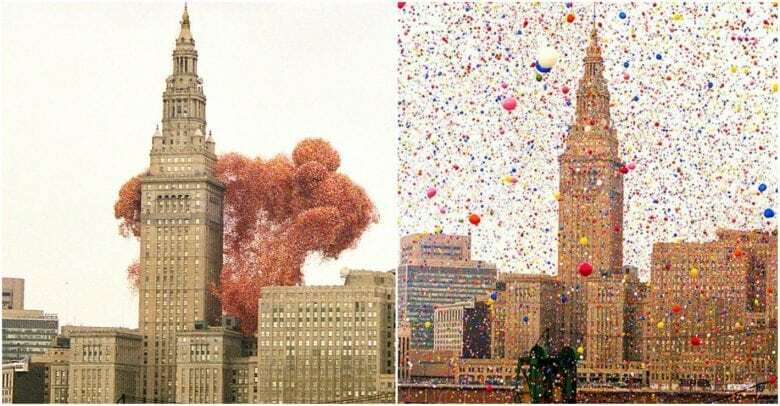 Millions of balloons floated back over the city, over Lake Erie and dropped to the ground all over the surrounding areas. This caused huge problems for traffic and a nearby airport. Multiple car crashes happened and the airport had to be shut down, more seriously the event even interfered with a search and request mission by the United States Coast Guard who was searching for two boaters in a lake. The boaters were later found drowned, the coast guard had been unable to reach them due to the massive amount of balloons covering the lake making it impossible to see the surface. Consequently, the organizers and the city of Cleveland faced lawsuits in the millions of dollars for damages. In fact, the lawsuits were so bad that the cost put the whole event at a loss. The stunt was coordinated and planned by a Los Angeles based company that had done this sort of stunt before, it was known as Balloonart. They even spent six months preparing for the stunt, an immense structure of woven mesh material was put together to hold all the balloons. The idea was children sold sponsorships for charity at the price of $1 for every two balloons. Close to 1.5 million balloons were released on 27th September 1986, normally helium-filled balloons will stay in the air long enough to become fully deflated before dropping back down to the ground. However, the millions of balloons collided with a large front of cool air and dropped to the ground still inflated. They clogged up the land and waterways of all of Northeast Ohio, with balloons even washing up on the Canadian side of Lake Erie. Hundreds of car crashes were reported as drivers were left swerving around slow-motion blizzards of multicolored orbs.